Is the Nuclear Disaster at Fukushima Over? Two years after the triple meltdown at the Fukushima Daiichi Nuclear Power Plant, its legacy weighs heavily on Japan. Over 160,000 people forcibly evacuated from their homes around the plant have yet to return. Tens of thousands more from Fukushima prefecture have left voluntarily, some never to go back to their contaminated towns and villages. The fight for compensation has begun and already it is steeped on controversy, with most nuclear refugees complaining of needlessly bureaucratic procedures and inadequate payments. In Tokyo, the new government has signaled it wants to restart all the nation's 50 commercial reactors, despite antinuclear opposition. That battle too will rage for years. And what about the plant itself? Workers struggle to decommission its 6 reactors, a difficult, dangerous job the government estimates will take 40 years. The buildup of radioactive water continues, stored in huge onsite tanks with nowhere to go. The risk of another large quake releasing catastrophic quantities of radiation from the plant's damaged fuel pools has not gone away. Meanwhile, in the contaminated 20 km zone around the plant, life has frozen in time. Outside the zone, the cleanup of radiation that has blanketed 8 percent of the country has slowed. Nobody knows what the future holds because the accident was unique. A series of activities has been organised in March 2013 to mark the second anniversary of the Fukushima Nuclear Disaster. Please join us to find out what is happening in Fukushima 2 years after the accident and discuss the lessons we have learnt. Tokiko Noguchi is a representative of 3aKariyama, a citizens' group formed in the wake of the Fukushima nuclear disaster in 2011. She has participated in a number of actions and events, including recuperative holidays for Fukushima children in Hong Kong in 2012, various petitions and monitoring of food radioactivity by citizens, with the aim of seeking health and security in the aftermath of the Fukushima nuclear accident. 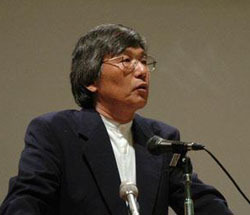 Yuki Tanaka is a research professor at Hiroshima Peace Institute, and a coordinator of The Asia-Pacific Journal. He has written extensively on various aspects of warfare and is a co-editor most recently of Bombing Civilians: A Twentieth Century History (co-editor with Marilyn B. Young). His other works include Japan's Comfort Women and Hidden Horrors: Japanese War Crimes in World War II. 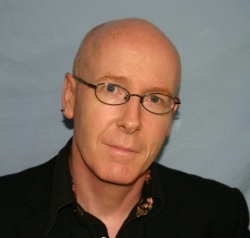 David McNeill writes regularly for the Irish Times and the Independent, teaches at Sophia University in Tokyo, and is also a coordinator of Japan Focus. McNeill is a veteran journalist and university lecturer. He has lived in Japan since 2000 and is currently a part-time lecturer at Sophia University Tokyo, the Japan/Korea correspondent for the Chronicle of Higher Education and a regular contributor to the Irish Times, Independent and Japan Times newspapers. His work has also appeared in numerous media outlets around the globe including Newsweek, New Scientist, The Face, New Statesman, South China Morning Post and the International Herald Tribune, The Chicago Tribune, the BBC, RTE and CBC. Before Sophia University Tokyo, McNeill has taught at Liverpool John Moores University in the UK, Guangdong University of Technology in southern China, and the University of Tokyo, Takushoku University and the Tokyo Institute of Technology in Japan. He is a board member of the Foreign Correspondents' Club of Japan and chair of The Foreign Press in Japan. Professor Tian has a background in physics and has studied the philosophy of science and the history of science, and has an in-depth insight in the negative effects of science and technology. He will systematically discuss the potential and inevitable hazards that nuclear energy brings to human beings and the environment, in order to refute the view that nuclear energy is clean, safe and necessary. Nuclear energy is unambigurously unsafe and unclean. It may only become necessary within the bounds of industrial civilisation. The inabiliby of humans to stop using nuclear energy reflects the awkwardness and helplessness of industrial civilisation. It is analogous to quenching one's thirst with poison. Within the framework of industrial civilization, capital, technology, and power form a natural alliance of interests. Thus scientists' dominating knowledge discourse serves the interests of capital. Industrial civilization is fraught with problems, there is a pressing need for a thorough revolution. Please see individual event pages for other co-organisers.